Is there any paperwork or document for the mechanical systems of 250 Nicholson Lane, Bancroft, Ontario? 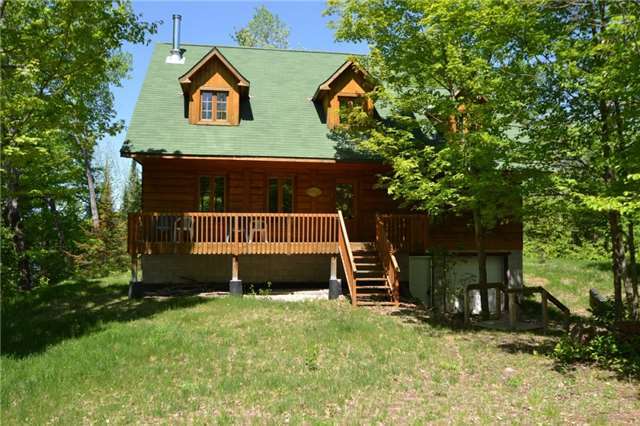 I need more information about the property at 250 Nicholson Lane, Bancroft, Ontario. How ist the neighborhood, location and nearby amenities for 250 Nicholson Lane, Bancroft, Ontario? I have questions about the roof, foundation, insulations and mechanical issues of 250 Nicholson Lane, Bancroft, Ontario? I need more information about property details. What's wrong with this house? Is this a short sale? Is there any maintenance for 250 Nicholson Lane, Bancroft, Ontario? What is this property worth in today's market? What are "closing costs", and how much? What steps should I take when looking for a home loan? What price home can I afford? Is my credit good enough to buy this house? What are the best mortgage options for me? How flexible is the seller on the asking price? How low can I consider offering for 250 Nicholson Lane, Bancroft, Ontario? Over 2,400 Ft Of Shoreline On Brinklow Lake And 59 Acres Of Woodlands To Explore And Play On. 9 Years Old, Quality Built, Square Timber Style Home. Features Large Stone Fireplace, 4 Nice Size Bdrms, And A Very Efficient "Geothermal Furnace" That Heats In The Winter And Cools In The Summer. All Hardwood Floors And Natural Wood Beams Insidea As Well As A Large Screened In Porch On The Back And A Convenient Covered Porch On The Front.